So this is the first stages of my Inspiration word OCEAN. The first thing that came to mind when I saw that the word was ocean was rap artist, Frank Ocean. From there I started to think about how I can incorporate him into an aquatic type scene. 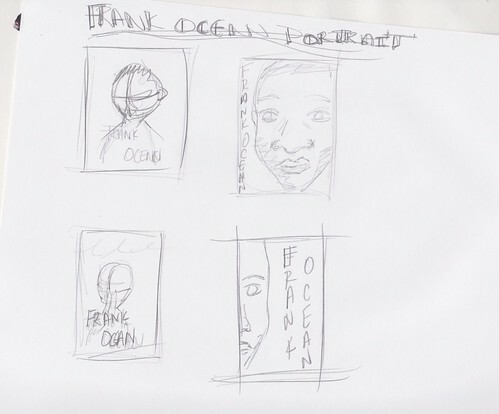 So I'm going to paint a portrait of Frank Ocean in monochromatic blues. Here are my thumbnails for my portrait layouts.